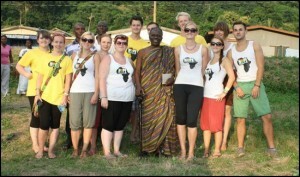 This summer we took a group of 12 volunteers out to Ghana with us, half of whom had never been before. 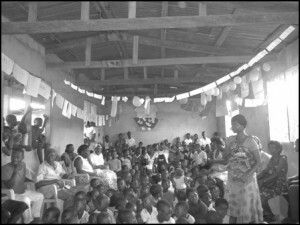 The trip ran for three weeks, with us spending the first two weeks in Santrokofi, running the summer school and helping out with some of the building work. In the third week we took our four scholarship students down to the beach with us, they really enjoyed it as they had never been before. Each year is getting bigger and better for Raising Hope Foundation, and upon returning from Ghana, one of our volunteers who has been out to Ghana with us three years said “RHF is genuinely the only reason I get up in the morning”. What an inspiration to continue the fantastic work we are doing. At summer school we had three classes, Green (2 – 5), Yellow (6 – 11) and Red (12 +). The number of children in each class varied on a day to day basis, but on average there was around 150 students attending summer school every day. Green Class - We went through the alphabet and numbers with them. We got them to trace over letters and numbers to begin to learn how to write. 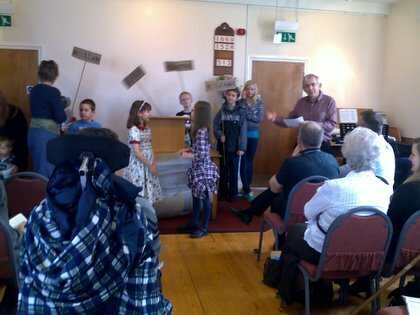 Over two days we also taught them about Noah’s Ark and got some of the children to wear animal masks. We also did a lot of colouring, story time and games outside. Yellow Class - We focused on English and Maths in this class, teaching them the times tables, oppo-sites, and writing short descriptions about themselves and their families. One day we watched Planet Earth and then got the children to make sea collages. Red Class - We worked on fractions and decimals with the other class and also looked at the weather cycle, geography and the difference between Africa and England. We also looked at rivers which lead on nicely to the excursion we took red class on. On the middle Saturday we took students from Red class to Wli Waterfalls which is 30 minutes from Santrokofi. We hired three big minibuses and ended up with 106 students. None of them had been to the waterfall before and they all really enjoyed the experience and were really well behaved. This year we have committed to sponsoring another four students through Senior High School, because of this we are look-ing to increase our monthly standing order income. It cost’s just £10 a month to send a day student to SHS and £20 a month for a boarding student at SHS. If you want to sponsor a child, or start a monthly standing order talk to someone from RHF. This year we were able to see work on the orphanage happen whilst we were in Santrokofi and all the volunteers got stuck in helping with painting and plastering. Whilst we were out there the ceiling nog-gins were put in, the internal and external walls were plastered and the doors were put on, meaning the building is now secure. We are now raising money for the next phase of the project.